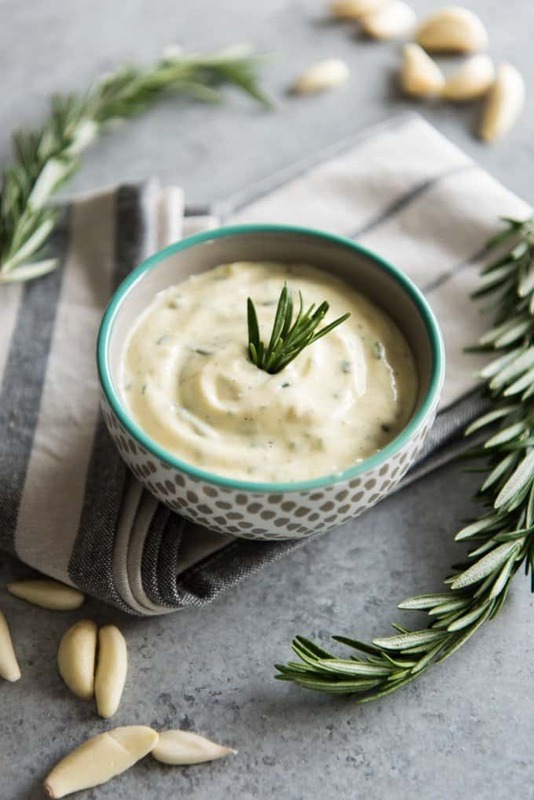 Learn how to make homemade aioli with variations that are sure to bring incredible flavor to your favorite sandwiches or burgers, are perfect for dipping fries, chicken tenders, and meatballs, and can even be used to marinate meats before grilling! If I am being completely honest, I feel like such a gourmet whenever I order something off a menu that has aioli on it. 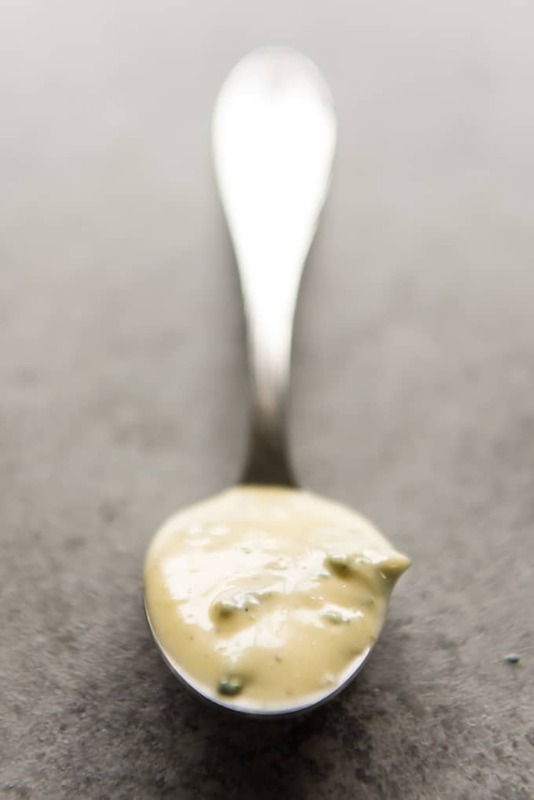 It’s silly, I know, when in reality, aioli is pretty much just a fancy name for what is essentially just flavored mayonnaise, thinned out a bit with a little acid like lemon juice and with fresh herbs or spices stirred in. 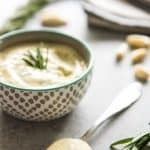 If you look up aioli recipes online, you will find lots of recipes that basically tell you to do just that – stir in a few extra ingredients to a cup of mayo and call it good. But trust me, homemade aioli made from scratch is so, so, so much better. 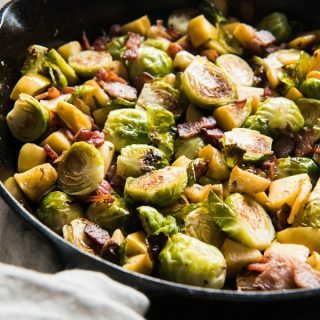 It’s one of those things where you can really taste the freshness and quality of the ingredients and it literally comes together in just minutes. Other possible mix-ins would be garam masala, fresh dill or thyme, jalapeno, avocado, sriracha, cranberry sauce with orange zest, etc. The sky is pretty much the limit! 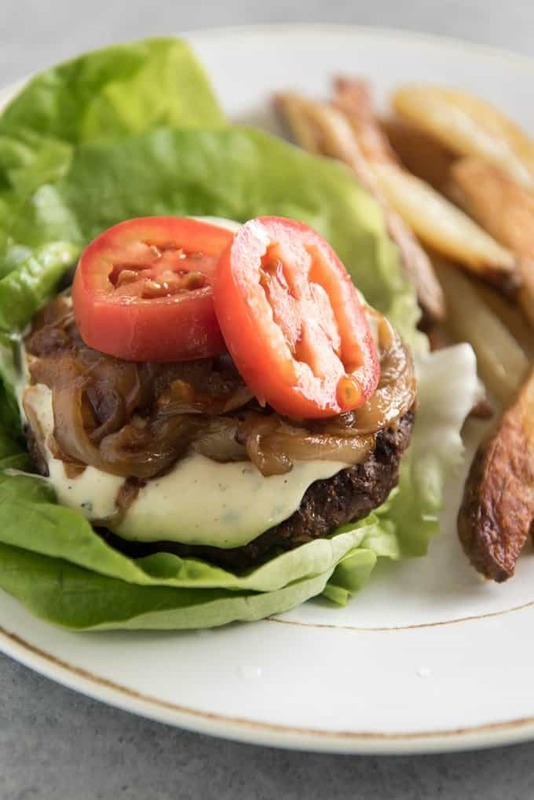 We like to put aioli on sandwiches or burgers like the rosemary garlic aioli on a lettuce-wrap burger with caramelized onions in the picture below. It’s incredible on grilled or pan-seared chicken breasts. Or you could make a cranberry or sundried tomato & basil aioli to spread on a turkey sandwich (one of Paul’s favorite things). It’s also wonderful as a dipping sauce for fries (like these Oven Roasted Barbecue Potato Wedges!) or chicken tenders or meatballs. 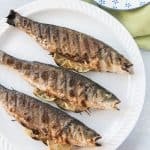 You can even use it as a marinade for meat before grilling. It’s so versatile! 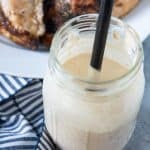 I have made aioli with both a Vitamix blender and a food processor and it came out just fine both ways, although I think that the food processor was a little easier. 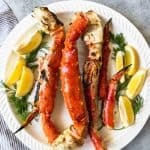 I have also heard great things about using immersion blenders to make aioli, but I don’t own one so I have never tried that method. Combine the egg yolks, dry mustard, salt and lemon juice in a food processor or blender and process for 20 seconds. With the food processor or blender running, very slowly drizzle in the oil in a thin stream. It should take about 2 minutes to pour all of it in if you are going slowly enough so take your time. Add the remaining herbs or spices or other ingredients for whichever aioli variation you desire and process another 20-30 seconds to incorporate completely. Store in an airtight container in the fridge for up to two weeks. 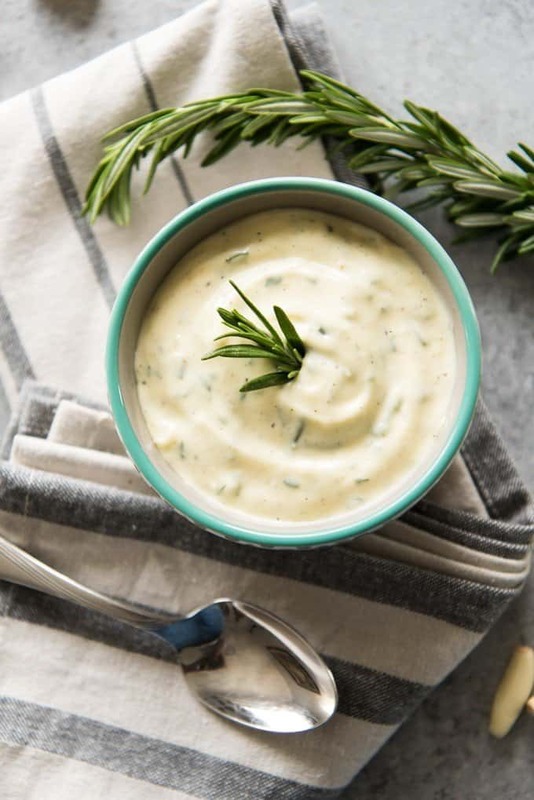 I’m with you — aioli from scratch is THE BEST! My Mom used to make them all the time when I was growing up — and she’d flavor them with garlic and lemon juice. So good! 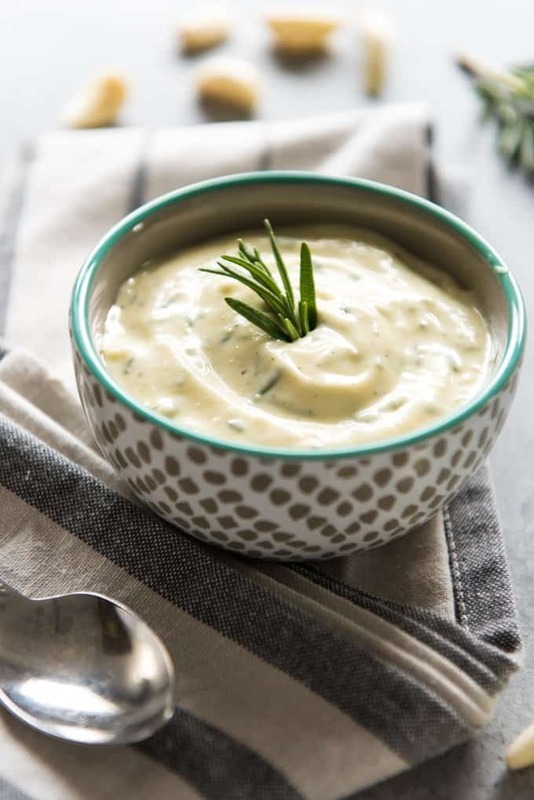 Garlicky aioli is the best! Love that you have childhood memories of this – it’s something I didn’t try until adulthood! Aioli is best when made fresh at home with fresh ingredients. This is an awesome post with all the variations you list. I will have to try a few different ones. The cajun aioli would be delicious on any fish sandwich. Yum. What a great post. The variations all look great. Cilantro lime on a fish taco. Southwest chipotle on a burger. Roasted garlic on everything. Thanks! 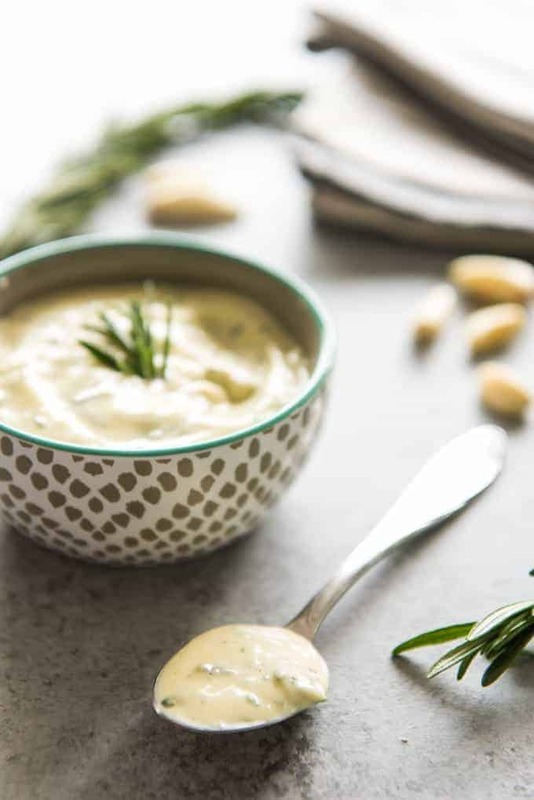 I love aioli and this one looks delicious! 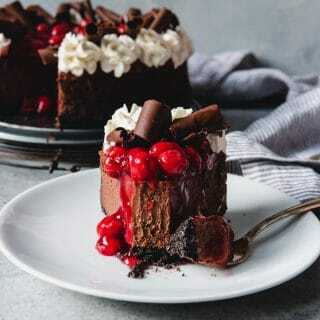 WaOO awesome recipe thanks for sharing . I’ve really only fairly recently discovered aioli but I wish I had earlier!! I put it on everything now, and can’t wait to try and make some of my own! That’s kind of how it was for me as well! 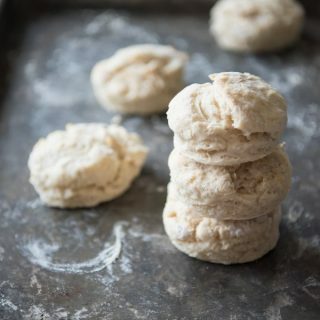 I always thought it was difficult to make or something but it’s so easy and delicious and can be used in so many ways! Very easy and very good. A bit lemony (some sugar cut the acid) but very tasty!